Here's a photo of my nephew sailing over the Imperial Sand Dunes in California. Just west of Yuma, Arizona, in the state of California, lies one of the nation's largest mass of inland sand dunes. The erg is approximately 45 miles long by 6 miles wide. We've driven through this area on our way to California, but have never done any exploring. Granted, there's not much to explore but sand, and there's no way to do it other than on a motorcycle or in an all-terrain vehicle. And it's hot. So as you'd imagine, I'm not doing any kind of exploring in this place. My brother has been to the dunes many times over the years with his best friend from high school. He's also taken my nephews out there a few times to ride. They love it. And now that Ed has a motorcycle, I suspect he'll be going on one of the future trips. I'm already concerned. 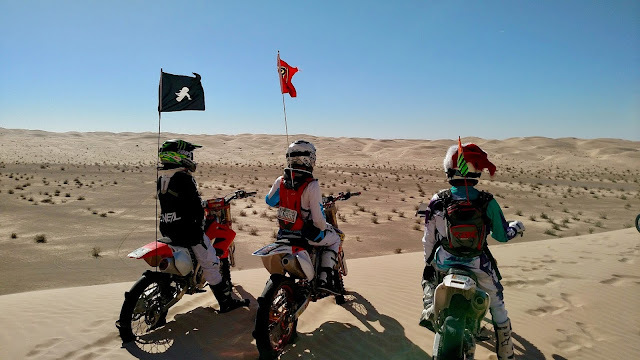 The boys like to show off, jump from dangerous heights (some of the dunes rise 300 feet), and drive faster than they would anywhere else they've ridden. There have been several injuries over the years, including a few this past week. Nothing serious in the minds of men as you might imagine, and so far they've all come back with operational limbs so it constitutes a good time. 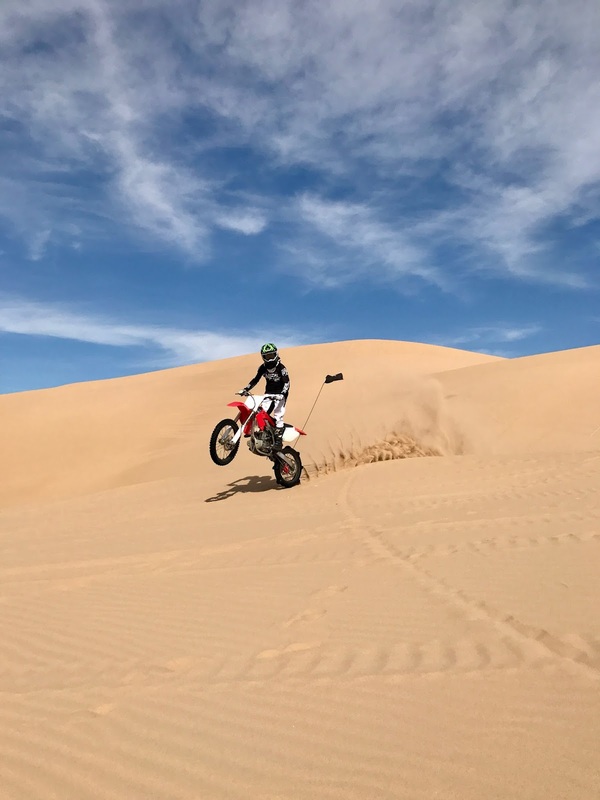 A natural draw for off-road enthusiasts, The Imperial Sand Dunes see more than a million visitors each year. That's a whole lotta people coming out to see what's essentially a giant sandbox. And the boys playing in it have graduated from shovels and toy trucks to helmets and toys with wheels.